Arsenal’s club captain Laurent Koscielny suffered a major setback in his bid to return to first-team action after sustaining an injury during a U-21 game. According to Talk Sport, the Frenchman started for Arsenal’s reserves during their Checkatrade Trophy clash against Portsmouth on Tuesday night, but he was unable to finish the game after suffering a knock with just ten minutes remaining on the clock. 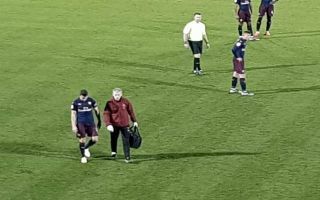 The 33-year-old was continuing his comeback from a major Achilles injury which has seen him sidelined for the last seven months, having made his first appearance for the U-21’s last week against Derby County. 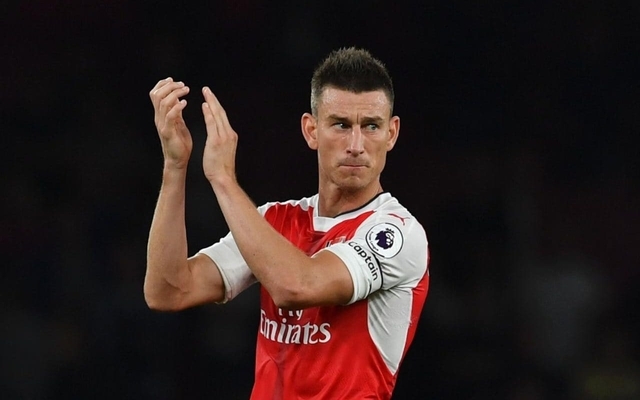 Koscielny signalled to the bench that he was struggling and after the team’s physio jogged onto the pitch to assess his condition, the centre-back was forced to withdraw early. It remains to be seen whether or not the Arsenal skipper’s condition is serious or if the club’s staff were just taking a precautionary measure, but this latest news is undoubtedly a blow after his recent progress. Koscielny initially picked up his Achilles issue during the Europa League semi-final against Atletico Madrid last season and he was forced to sit out France’s 2018 World Cup campaign as a result. The veteran defender, therefore, missed the chance to lift the famous trophy aloft, as Les Bleus stormed to victory in Russia – beating Croatia 4-2 in the final. He has also had to watch on as Arsenal have enjoyed a resurgence under Spanish boss Unai Emery, who succeeded Arsene Wenger in the Emirates hot seat during the summer. The Gunners are fourth in the Premier League and seem to be improving with each passing game, but they would undoubtedly be even stronger if Koscielny was available for selection. Arsenal fans across north London will be hoping that his latest knock is nothing too serious and that he returns fresh and raring to go as soon as possible, with a busy run of fixtures coming up over the winter period.